Happy 2017 everyone! I have so many great things for the blog planned this year and I can’t wait to share them with you! 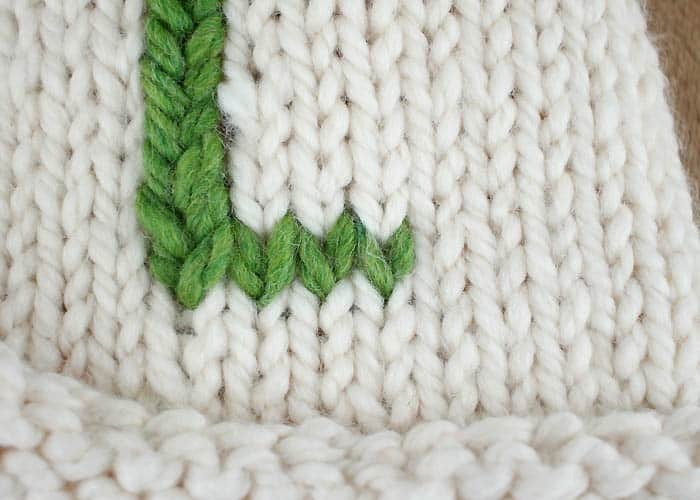 I want to kick things off with this tutorial that shows you how to embroider on knitted items. 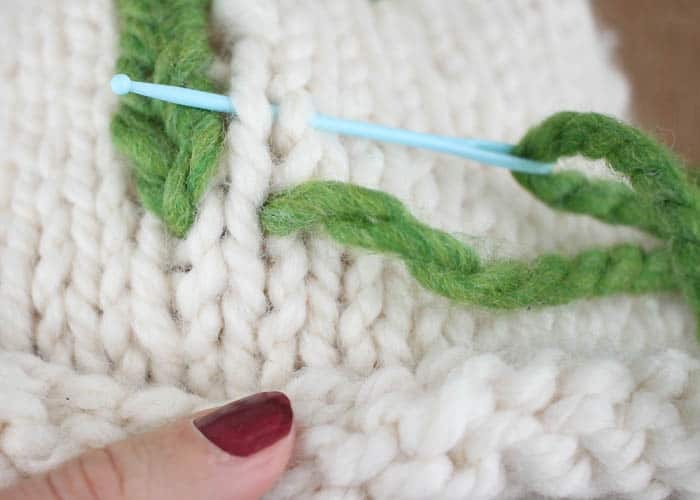 This technique is easy to do and it’s perfect for beginner knitters. 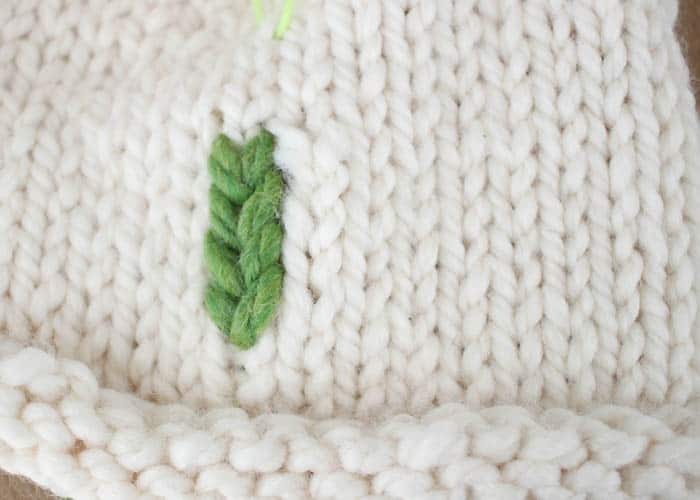 It’s also great for personalizing store bought knits. 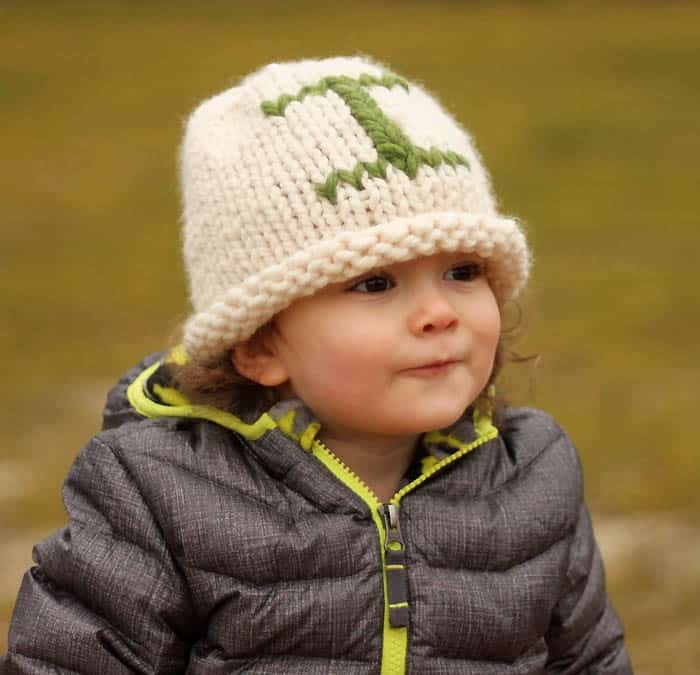 I knitted this cream colored hat for Indigo but once it was finished it seemed kind of blah. I decided to monogram it with an “I”. I think it’s much cuter and has personality now =) This embroidery technique is really versatile. You can do letters, shapes or even simple multi colored designs. 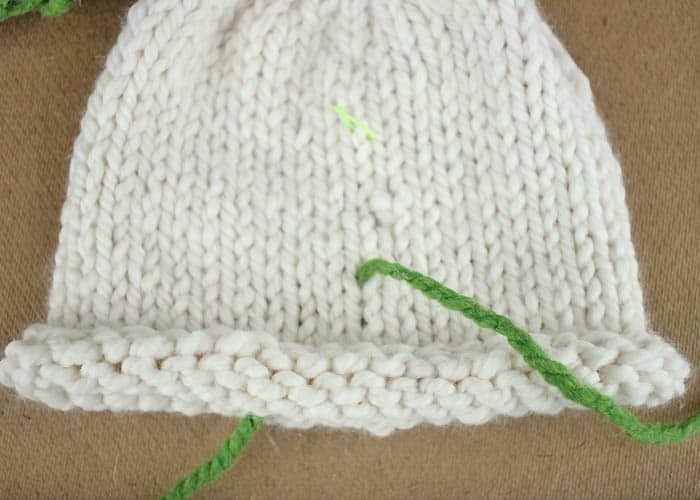 One quick note- make sure you are embroidering with a yarn that’s the same weight as the knitted piece. 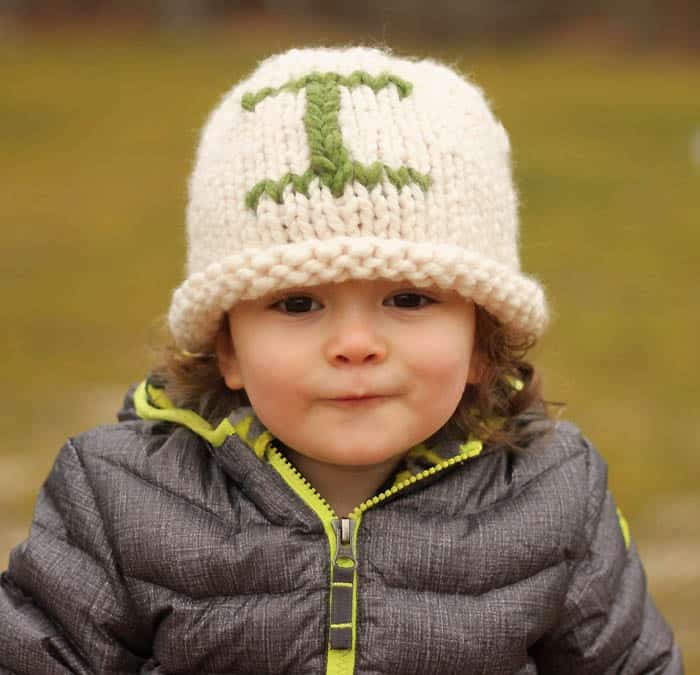 A yarn that’s too lightweight will not cover the original stitches and blend in. A yarn that’s too bulky will stretch the original stitches out. 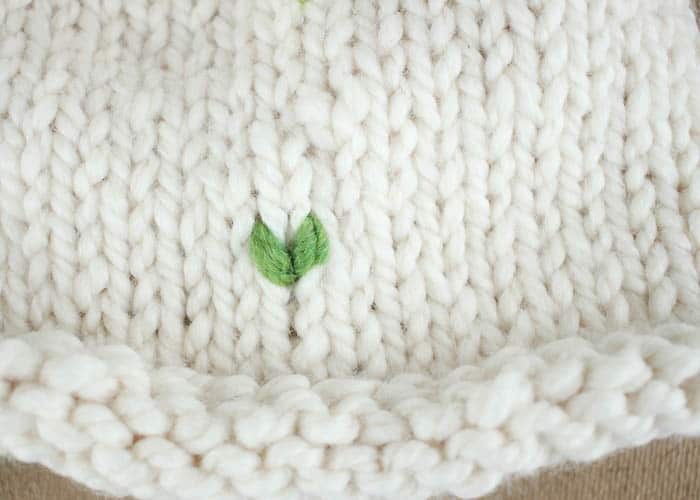 Want more free knitting tutorials? Using stitch markers mark off how large you want you letter to be. 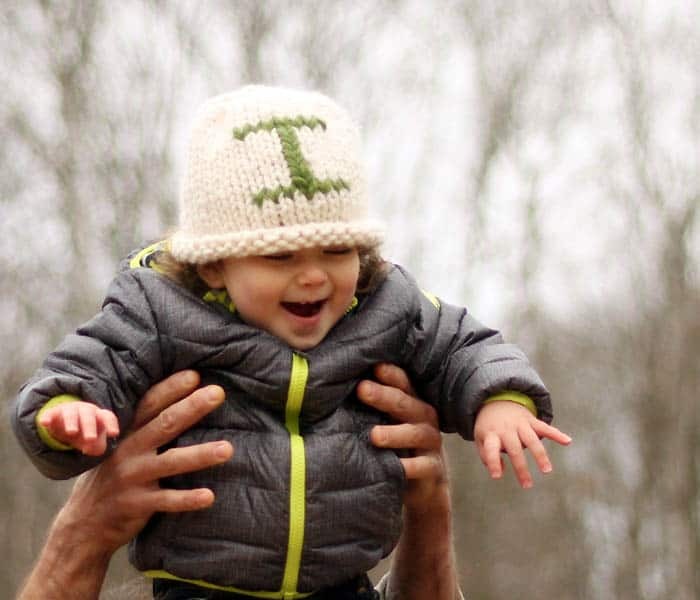 Try the hat on to make sure the design isn’t going to be too low/high on the head. Using a yarn needle insert the yarn through the back of the piece and through the middle of a stitch. I started at the bottom of the letter and worked my way up. 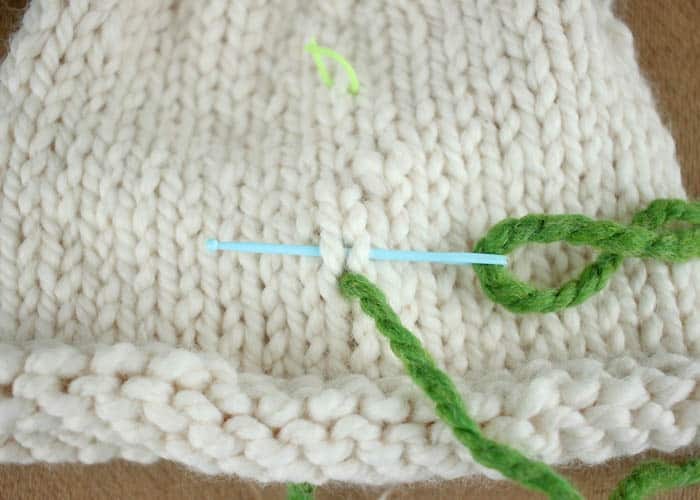 Insert the needle through both sides of the stitch and pull yarn through. Insert the needle back through the hole where you first started. Here is what the stitch looks like when you are finished. Be careful to not pull the yarn too tight or make it too loose. 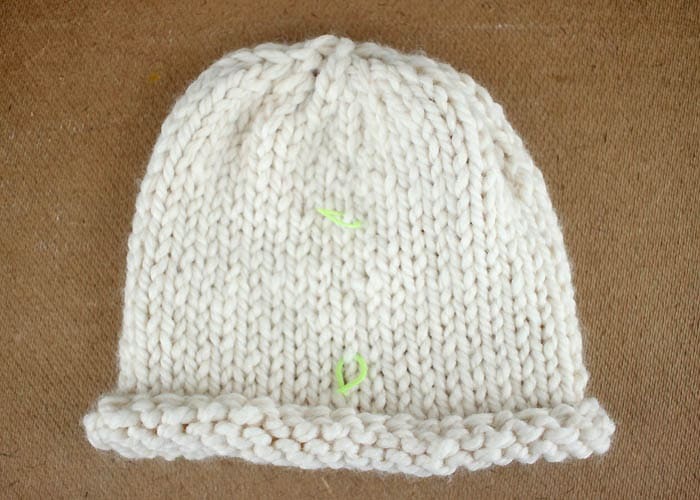 You want it to blend it with the gauge of the knitted piece. 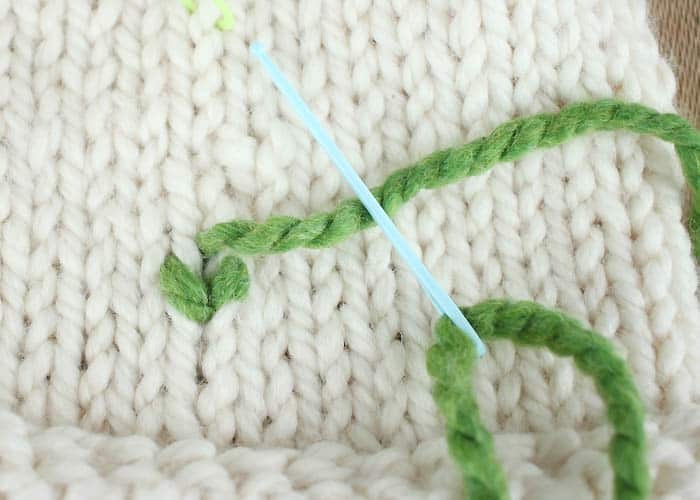 Insert your needle in the middle of the stitch directly above the first. Continue in this pattern until you reach the top marker. To make stitches horizontally insert the needle into the row of stitches directly next to the one you already worked. 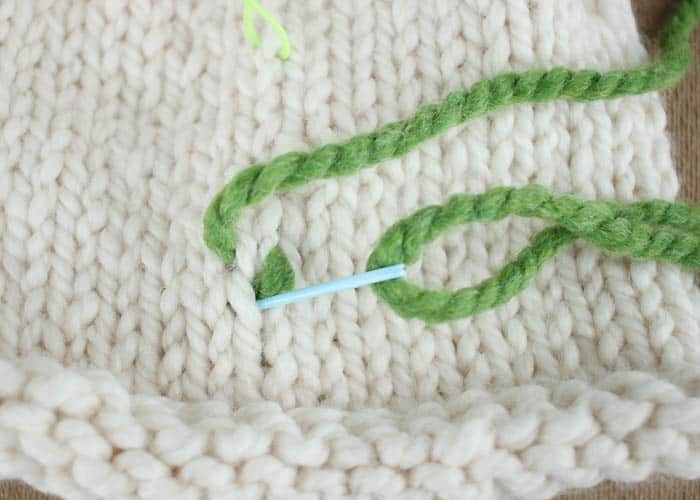 Here’s what a row of stitches going horizontally look like. The technique for making the stitches remains the same. I want to make a striped scarf look like plaid. I'm going to try this. I'll let you know.